I enjoy mock drafts as much as the next guy but even I admit there are just too darn many of them. That’s one of the reasons I only do one per year. I also want to be clear about how I do my mock draft. While some do a mock based on what they would do, I create mine based solely on what I think the Steelers will do. That’s a major distinction that needs to be made. Now, on with my 2018 Mock Draft. RD: 1 (28) – Jessie Bates III, Safety, Wake Forest – With all four of the top linebackers off the board, the Steelers follow their usual paradigm. 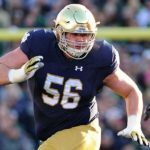 They like first round picks that are young, from Power 5 schools and there is some history to suggest that guys they dine with at Pro Days are chosen. Bates checks those boxes. He’s very athletic, smart and is climbing up draft boards. While I would really like a LB here, the Steelers shouldn’t reach and I think Bates falls in that 25-55 range. RD: 2 (60) – Christian Kirk, WR, Texas A&M – After this season the Steelers will have just Antonio Brown and JuJu Smith-Schuster under contract. That means a receiver is clearly needed and the team had Kirk in for a private workout. He’s a very productive receiver who also returns kicks – something the Steelers sorely need. Taking a receiver here rather than a linebacker won’t sit well with some but if he’s there it’s the right move. RD: 3 (92) – Malik Jefferson, LB, Texas – The Steelers put more emphasis on Jefferson than any other prospect. They visited with him at the Combine, at his Pro Day and had him in for a Private Workout. No other potential pick can say as much. Jefferson offers tremendous speed and athleticism and is much better when allowed to attack than if he has to “read and react.” After viewing a lot of his tape, my biggest question is whether he is aggressive enough to be a full-time starter in the NFL. 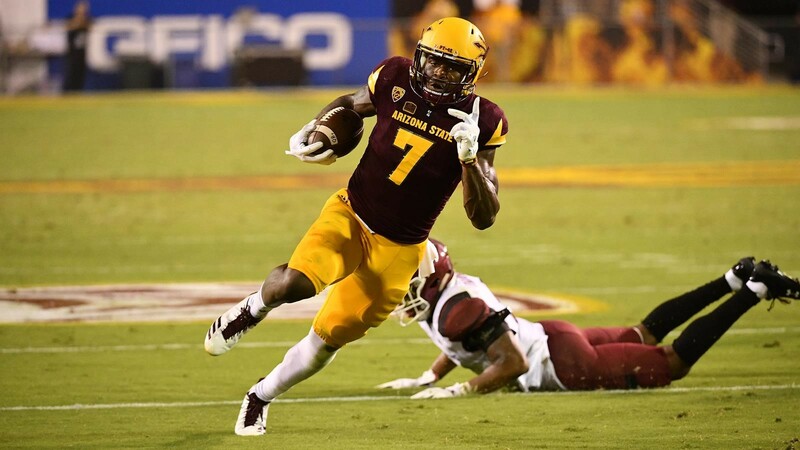 RD: 5 (148 from SF) – Kalen Ballage, RB, Arizona State – For all intents and purposes Le’Veon Bell is done in Pittsburgh after this season barring a miraculous agreement on a long-term deal. 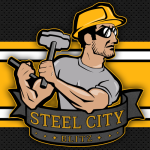 Stevan Rdiley and Fitz Toussaint are not the answers and James Conner is pretty one-dimensional from what I’ve seen so far. Enter Ballage who runs the ball well and catches it well too. He doesn’t possess great speed but Bell didn’t either. Getting Ballage here in the draft could be a steal and if he doesn’t work out it’s just a fifth-rounder. RD: 5 (165) – Joel Iyiegbuniwe, LB, Western Kentucky – This is likely high for the WKU Hilltopper but with no 6th round selection the Steelers will feel it necessary to grab him. He’s very athletic and has proven he can cover receivers and he hustles to the ball whether in the play or not. He’s a good special teams player who would likely contribute there as well with the Steelers. Don’t get me wrong here; he has a lot of work to do in order to see any playing time but there’s a lot to like from this kid from a learning and athletic standpoint. RD: 7 (220 from NYG) – Avonte Maddox, CB, Pitt – There’s been some recent buzz about Maddox going as high as the fifth round and I’m certainly not going to rule that out. But… If you talk to the Pitt folks who know the team they’ll tell you this guy was a train wreck at times and despite his very good speed (4.39 forty), they think he could slip. The Steelers don’t have to go far to get info on Maddox who is known to be a great locker room guy. He’s a willing tackler who also had eight career interceptions. The bottom line here is that you can never have enough cornerbacks. RD: 7 (246) – Tony Adams, C/G, North Carolina State – I always look for guys on the offensive line who have backgrounds in wrestling and Adams is your guy. He’s also an excellent guy off the field too gaining consideration for the Wuerffel Trophy which honors players active in the community. Adams has experience in several different blocking schemes and uses his short-area speed and balance to his advantage. His biggest weakness is the overall lack of length and that he gives up to much ground in pass protection. His potential versatility is a plus. Final mock 3.0 1, Josh Jackson CB [i really like Bates but] 2,Sony Michel RB 3, Genard Avery LB 5, Kyzir White SS 5, Andre Smith LB 7, Cedrick Wilson WR 7, Riley Ferguson QB Mocks are for fun, i did a little homework and i sort of like this one best. GO STEELERS. 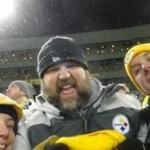 BTW if you guys remember last years contest about going to your first Steeler’s game. Well me my wife and son are going to the MNF game against the Bucs in Tampa 9/24. It will be the first game for both of them. I’ll let you guys know how it turns out.